Registering as a Sole Trader or Partnership is an integral part of running a compliant business if you wish to trade under a name other than your own. Company Startups are a specialist business registration company who are equipped to give you professional business advice on everything you need to know during your registration as a sole trader or partnership and will be done correctly, quickly and at the right price. As part of our business registration process we provide 1 hours consultation at no extra cost with one of our business experts who will walk you through the registration and answer any questions you may have. What do you get when registering a business name? Our business registrations price is the most competitive you will find online at only €50. We will apply for registration immediately. We will review your requirements for registration for various taxes including Income Tax, PAYE/PRSI and Vat and explain the requirements to you. If you wish to register for any of these taxes we will submit the documentation on your behalf. A professionally qualified member of our team with more than 25 years experience in the area of business formations will advise you on the registration and formation process, taxation, finance, accounting packages, grant applications, business plans and other related matters. Bernard McGeever joined Ryan O’Dwyer & Company in 1982 as an articled clerk. Having qualified as a chartered accountant, he joined Mr Donal Ryan as a partner in the practice in 1990. His committement to hard work and attention to detail has enabled his clients to be well place to avail of many opportunities over the years. Specialises in both corporate and personal insolvency as well as audit. 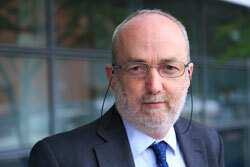 Gerard Gormley has worked in practice since 1980, in various roles with Cannon Kirk and Company. He is currently a partner in the practice. He specialises in company and business start ups. Gerard is a qualified Certified Public Account. Gerard has more than twenty five years’ experience in the area of business start-ups. Full form for submitting all information to register your business.